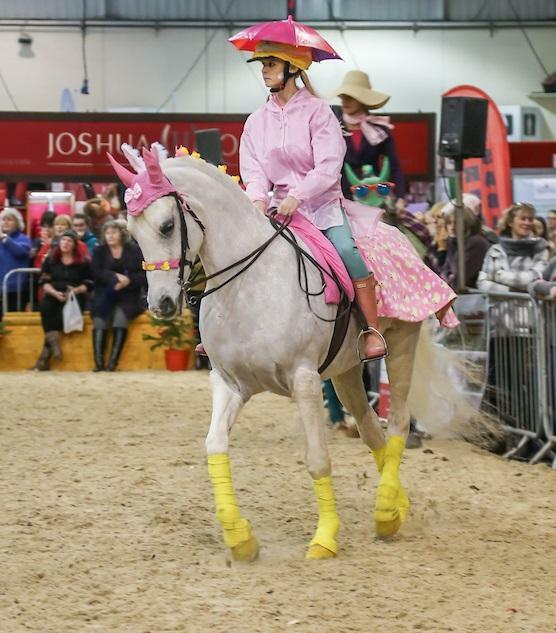 The Westcountry Equine Fair welcomes the return of the unaffiliated Quadrille competition and is set to bring glamour, colour, fun and story-telling once again! The Westcountry Equine Fair takes place on Saturday 1st & Sunday 2nd December at Westpoint in Exeter and is delighted to host the quadrille competition, which will take place on the Saturday of the show at 2.15pm. Six teams will take part: Blackdown Hills Riding Club; Brent Knoll Riding Club; Cannington Equestrian centre; Cornwall Trec Group; East Devon Pony Club and Friends of the Dartmoor Hill Pony. All the competing teams have chosen some amazing themes for their display. The Westcountry Equine Fair is well-known for its competitive elements, with the horse & hound show jumping challenge now on both show days and the junior show jumping competition on Sunday. Both have been running for a number of years and have proved very popular. The Junior Show Jumping Competition has 15 competitors, all 14 and under - an amazing platform for them to perform. The horse & hound pony club challenge has four teams of four riders and four runners with dogs , a fast-paced and fun-filled challenge for both teams and the audience! The show is not complete without the amazing equestrian shopping village. Stay stylish with the latest fashions; keep up to date with new products and excellent advice and of course plenty of the main brands, show offers, competitions and book signings. With over 200 companies, this is a great equestrian shopping experience ‘For the horse and for the rider. Don’t forget you don’t need to carry those heavy shopping bags around with the shop and drop facility in the foyer - all donations to South West Equine Protection. To book your tickets in advance and save money visit www.westcountryequinefair.co.uk or call 01392 421500 (office hours) and follow us on Facebook and Twitter to stay updated.